Home > Other Cities > Other Cities Reviews > Day Spa > SPA By Diane Loring, Inc. The beachy town of Ventura features world-class day spas in lovely surroundings. 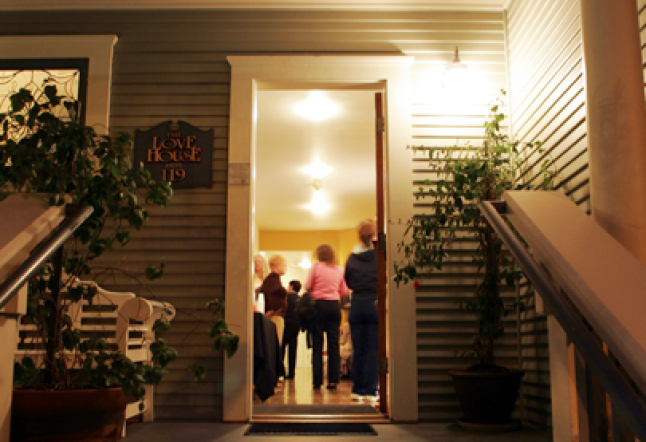 To begin with, SPA by Diane Loring, Inc. at The Historic Love House is the jewel in the crown of Ventura's spas. Situated in a smartly preserved Victorian home that was built by a long-ago pillar of Ventura society, this multi-modal refuge is a cheerful and gracious place. Here you will find superb yoga classes in intimate, airy, sunlit rooms, a lengthy menu of massage and bodywork options, plus acupuncture and a full-service hair salon. Signature treatments here include the Chocolate Mineral Buff. This uses a fine sea salt and chocolate aroma oil that is massaged over the entire body to deeply exfoliate and hydrate the skin. The Chocolate Contour Body Wrap smells richly aromatic and feels terrific because your body absorbs the antioxidants from chocolate clay as it is massaged into the skin. It's also worth noting that the attentive and polite massage therapists at Loring's Love House live up to their establishment's name. Their body work is deeply nurturing.